PH Navy Solar Project: A made in the Philippines SolarRev Generator ChargingCore Power Station will soon be powering the Philippine Naval Forces around the country together with Calriger Technologies SolarRev Generator making workshop, all interested people are welcome by the Philippine Navy to attend the said workshop. The SolarRev Gen S1 units with training kit will soon be deployed to Civil Military Operation Group PN (CMOG PN) to help them in their offgrid missions. During the conference meeting, it was highlighted that the said SolarRev Generator is proven to be helpful in military operations because of its being portable, handy and it has various charging features that can help in charging mobile devices, gps phones, Radio Communication devices and many more. Overheard in the meeting was the discussion of Navy Officer from Fort Bonifacio and Calriger SolarRev Ceo: The good thing about Calriger Technologies is the fact that they are willing to share to the Philippines the blueprint of their invention the SolarRev Generator without any cost and give interested people free seminars and lectures on how to make your own version of the SolarRev Generator and all lectures and seminars are for free, a good thing that Filipino people should do to improve skills and education of the Filipino people. Support made in the Philippines SolarRev Technology for the Filipino People. Senator Sherwin Gatchalian chided officials of the Department of Energy (DoE) on Monday over their failure to provide electricity to all households in the country, especially in Mindanao. This after Mario Marasigan, director of the DOE’s Energy Power Industry Management Bureau, informed the Senate committee on energy said that 2.8 million households in the country were still without electricity. Data from the National Electrification Administration (NEA) showed that as of January 31, 2018, there were 15,028,900 potential households in the country. Of this number, 12,227,629 (91 percent) have been energized, leaving 2,801,271 households still unenergized. Of the 2.8 million still without electricity, more than 1.4 million households or more than 51 percent were in Mindanao. NEA data showed that there were 4,583,800 potential households in Mindanao. Of this figure, 3,142,428 were already energized, leaving 1,441,372 households still not enjoying electricity service. Gatchalian, chairman of the committee, asked why many of those without electricity were from Mindanao, considering that President Rodrigo Duterte was from this island. “The President is from Mindanao and yung pinakamalaking island na walang kuryente is in Mindanao,” he said. “So malaking kahihiyan po ito sa Department of Energy kung hindi natin ma-address itong 70 percent,” the senator added, rounding off the figure. 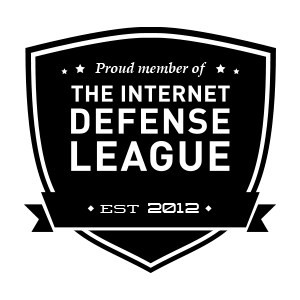 The proposed EO, he said, would identify different barriers and create task force and technical working groups to determine possible solutions to the problems. “Aside from providing the qualified third party services in unviable areas, then there might be some areas as well—we categorized temporarily as underserved and unserved—that may not fall under the category of unviable therefore its not covered by the QTP (Qualified Third Parties) program,” he said. Mylene Capongcol, director of the Renewable Energy Management Bureau, explained that under the Electric Power Industry Reform A, areas that could not be served by the distribution utilities could be offered to QTPs. But there is a process, she said, before a third party could take over an area. But Gatchalian argued that based on their research, there was a legal basis for government or private sector to go into those unserved, underserved areas. “We don’t need to wait for the electric coops to particularly waive or issue a waiver in order for other entities to come. In fact to date, sa sobrang tagal na walang kuryente , implied waiver na yan e para sa akin,” he said. 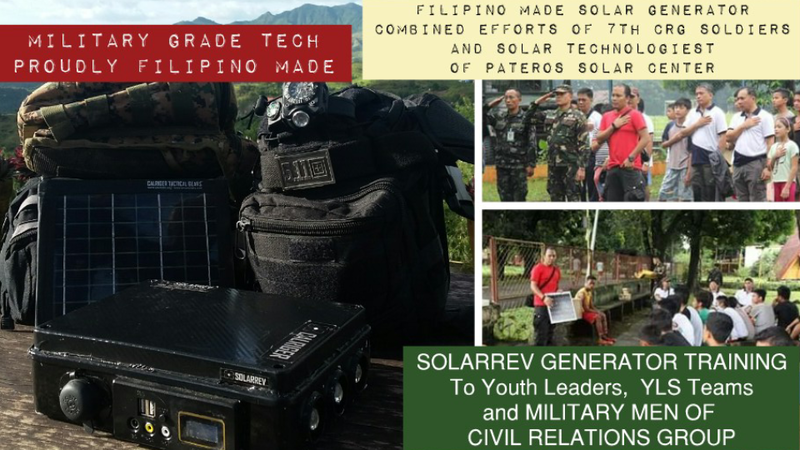 Civilian Technologiest from Pateros Solar Center together with 7th CRG Soldiers gave free solar training to the youth and Civil Relations Group in charge with community development. 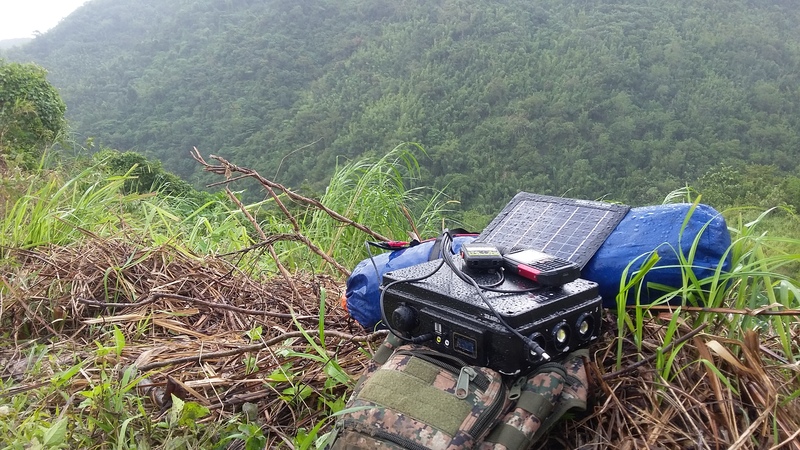 Filipino Invention: This Proudly Filipino made Military Grade SolarRev Generator is a combined effort of Civilian Technologist from Pateros and Military Men from the Civil Relations Service AFP. The 7th CRG CRS AFP former commander LTC. Patria was part of the consultation team when this Solar Generator unit was produced by the Filipino company, Calriger Technologies. The 7th CRG of Civil Relations Service AFP fully support the training for the youth, for its YLS program and for its military men in charge in community development by offering for free their office as training center for different skills especially for solar generator production skills.